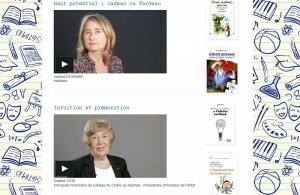 The second virtual multidisciplinary congress on the topic of giftedness starts in January 2012. The topics covered within this event are addressing the issues of gifted children and the strategies for identifying, understanding and offering support in making their life better. The organizers of the congress are Sophie COTE and Dr. Valérie FOUSSIER. Find more information by visiting the website of the congress. All the materials and talks will be available there, after the congress ends.